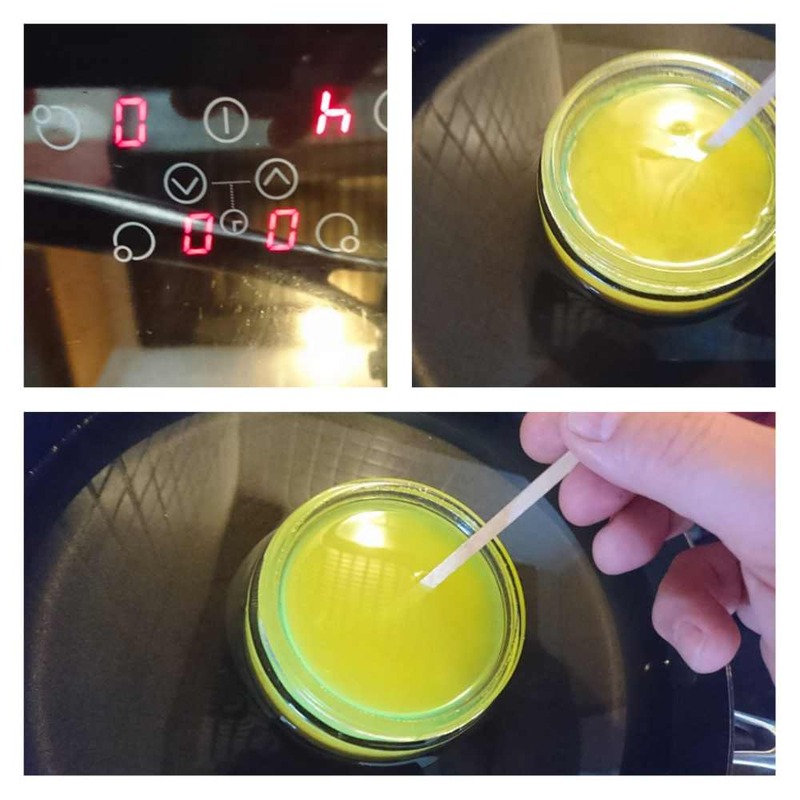 I have always stayed away from home brewing with the thought of leaving it to someone who knows what they are doing to make the mistakes but after discussing this new idea with Tony from Wax Planet I was pretty excited to give this a go. The kit arrived in a rather nice box containing everything you will need to start brewing your own wax. 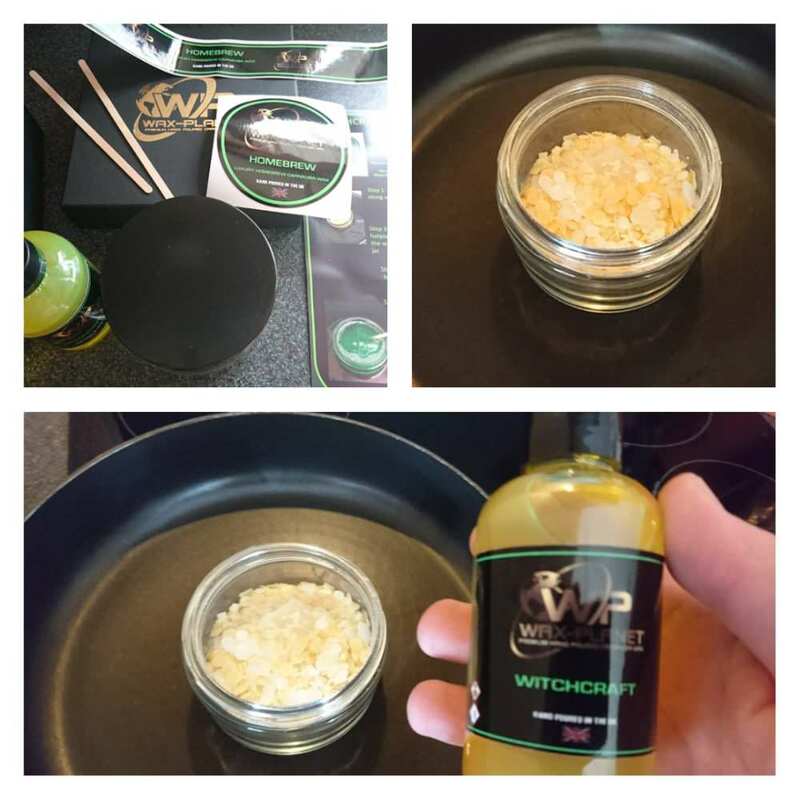 Wax Planets Witchcraft Home Brew Kit is a full kit to make your own professional grade carnauba wax in your own home. 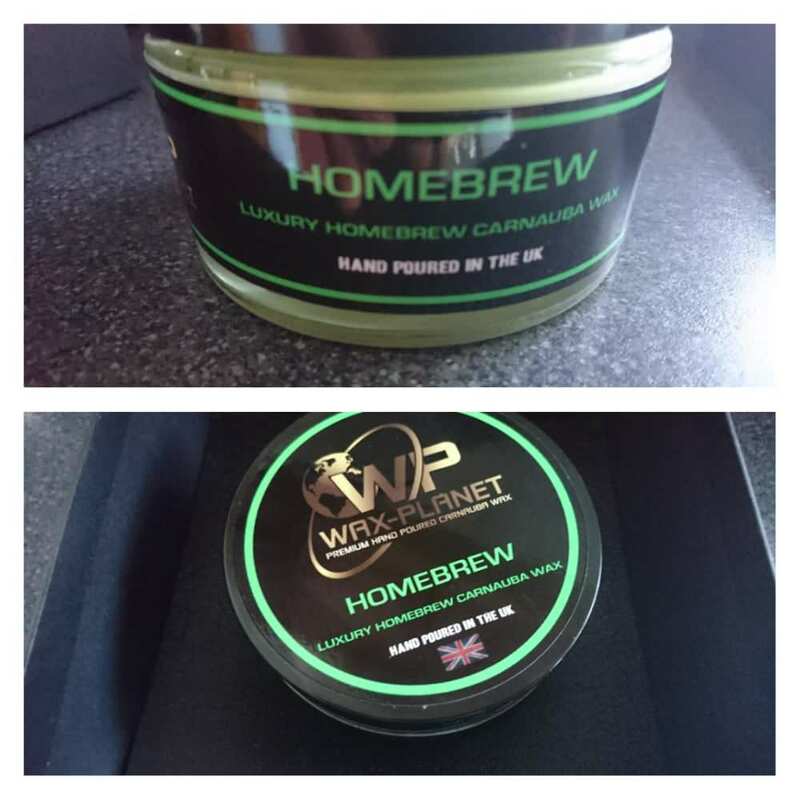 This kit will leave you with a 200ml pot of a super glossy easy to use wax with around 12 weeks durability all in a beautiful black presentation box. This kit comes with everything included with full step by step instructions to guide you through the process. Please follow the instructions carefully for a simple fun experience . Allow approx 1 hour of your time to make the kit. Do not use this kit on gas hobs or near any naked flames. If you would like to choose the colour and fragrance please leave a note in the notes section otherwise we will choose on your behalf. This is going to be a 2 part method review with the actual brewing process then the wax in action. So 1st up you open the box to find all the goodies inside, put the labels etc aside, have a good read of the instructions, the instructions say you will need a good hour so I would make sure you have the spare time, luckily I was home alone and it was nice and quiet so no problems there. So the jar of granola was placed in a tall non stick frying pan (luckily I have a Induction hob so no problems with naked flames). 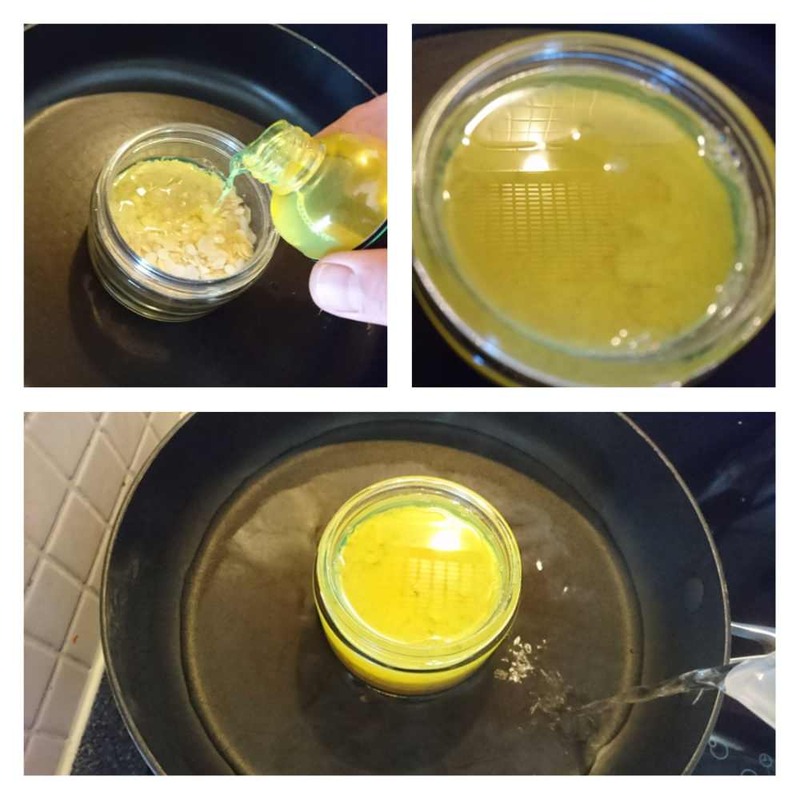 I then poured the Wichcraft liquid into the wax granola and poured boiling water from the kettle into the pan up to about 1/2 way up the side of the jar. The hob was then set to a medium heat just to get the water simmering around the pot, in this case it was set at 4 but this will vary depending on the equipment used. The contents of the pot was then stirred at regular intervals whilst keeping an eye on it. If i am honest for the 1st 30 minutes I was pretty much standing next to the pan stirring every 5 minutes or so but soon got a bit bored and stuck the telly on setting a timer for 5 mins each time and popping out to give it a quick stir. I did put the extractor fan on above the hob and opened the kitchen door just in case there was any noxious fumes but in all honesty it wasn't too bad at all and just smelled like lemons. 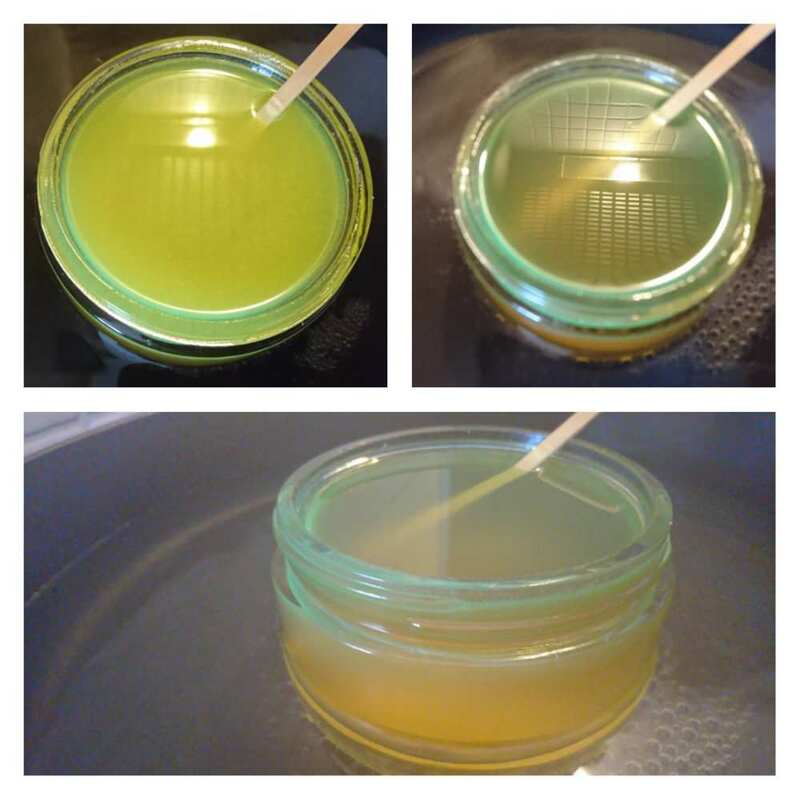 After the 1st 30 minutes you could see the wax solution start to change from being cloudy with particles in to start to be clear. 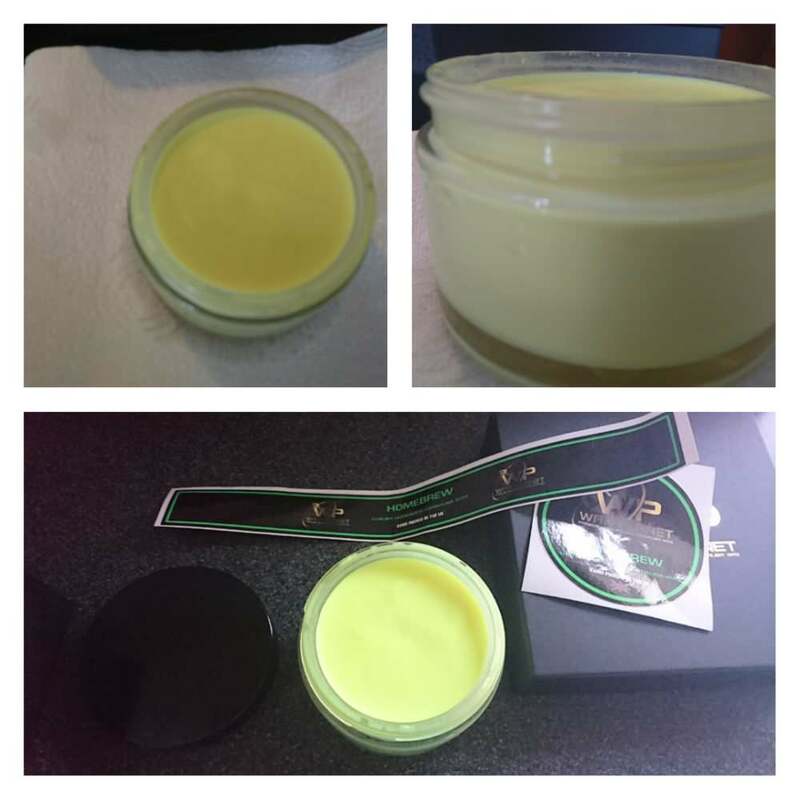 After about 50 minutes the wax solution had become clear and was ready to start the cooling process. Cold water was then added to the pan up to 3/4 of the way up the jar and obviously the pan was removed from the heat, this was then left to cool for a good few hours. 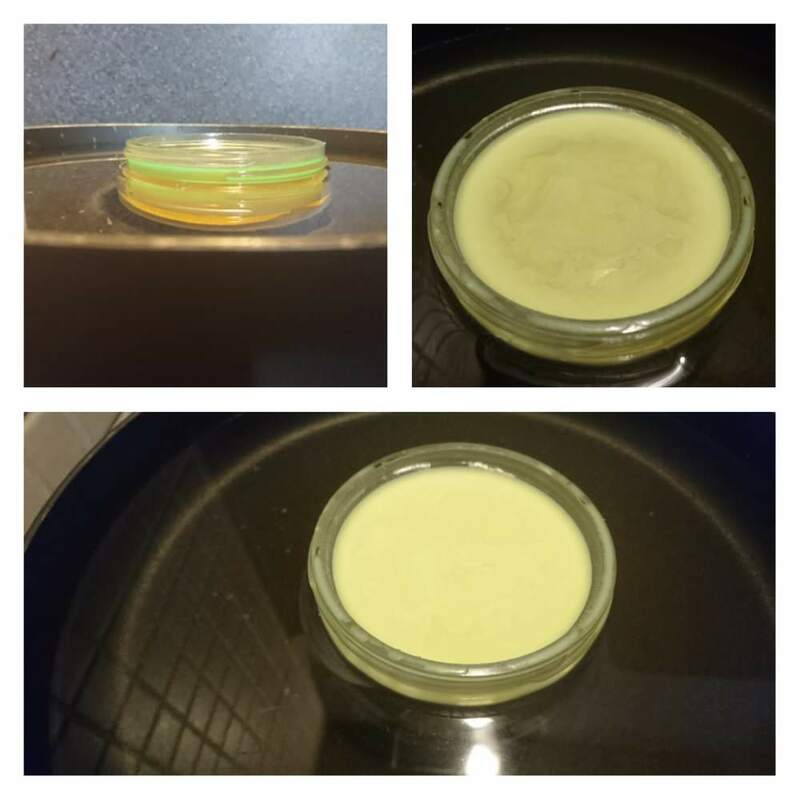 After a few hours the wax was set and cooled and was ready to be labelled, the pot was removed from the pan and dried thouroughly, as you can see it became a really nice light yellow colour and smells like sherbet lemons. Very pleasing to see that is was a perfect pour too with no cracking, take your time with the cooling process and don't rush if you want a perfect pour. The X Trail was in need to a clean today so as normal a snow foam prewash and a 2 bucket wash left it looking a bit more presentable. 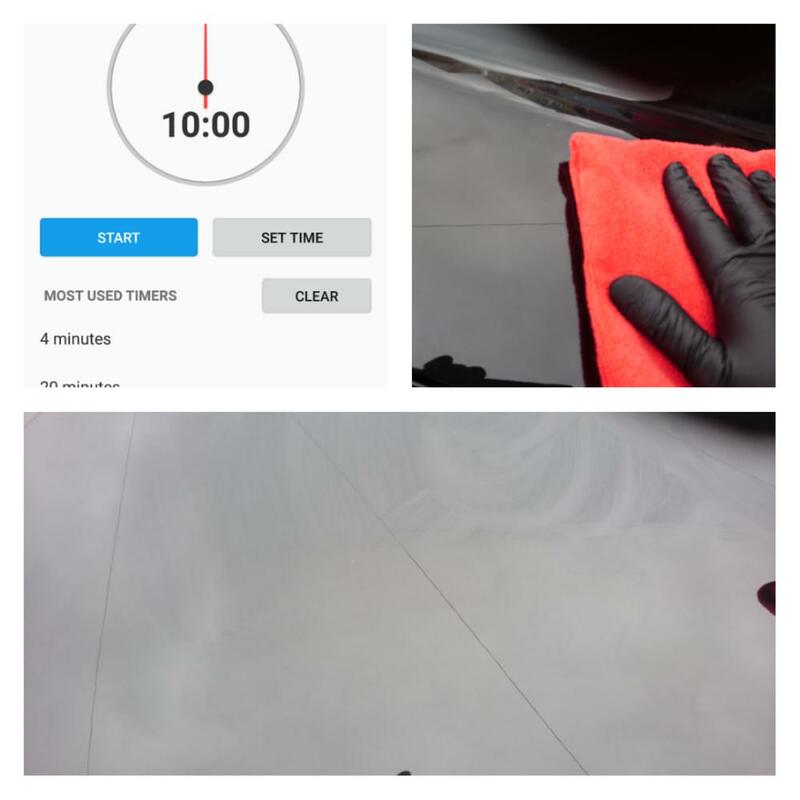 The car was given a quick prewax cleaner polish to prep the panels ready for waxing, this provides a clean base and improves durability. 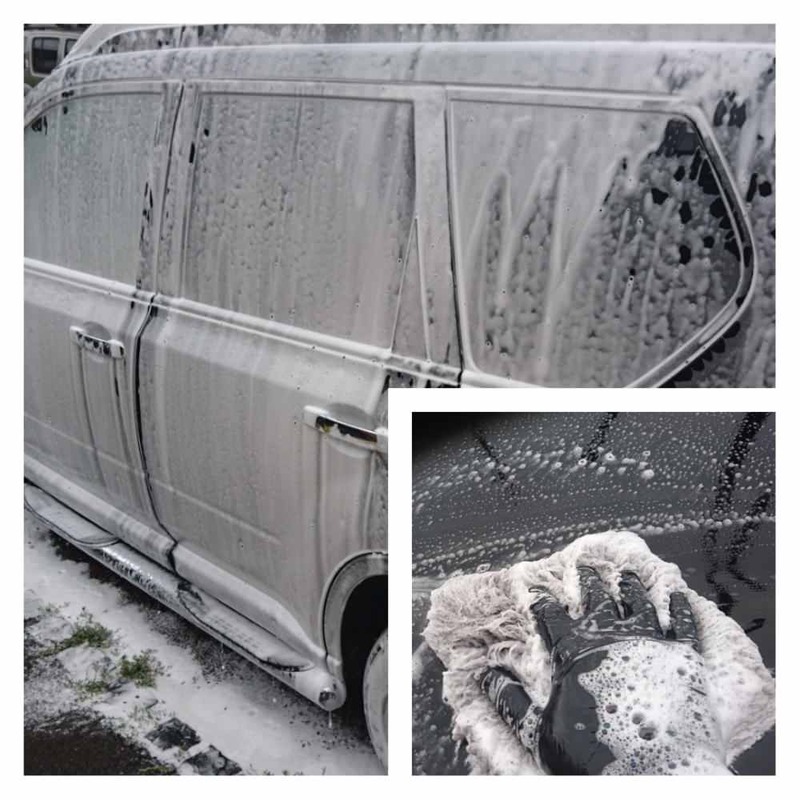 Initial impressions of the wax are good, the smell is really nice but not overpowering, a finger swipe revealed that the wax felt a little grainy but this is due to the high carnauba content of the wax, the grainyness melted away between my fingers so good to go. 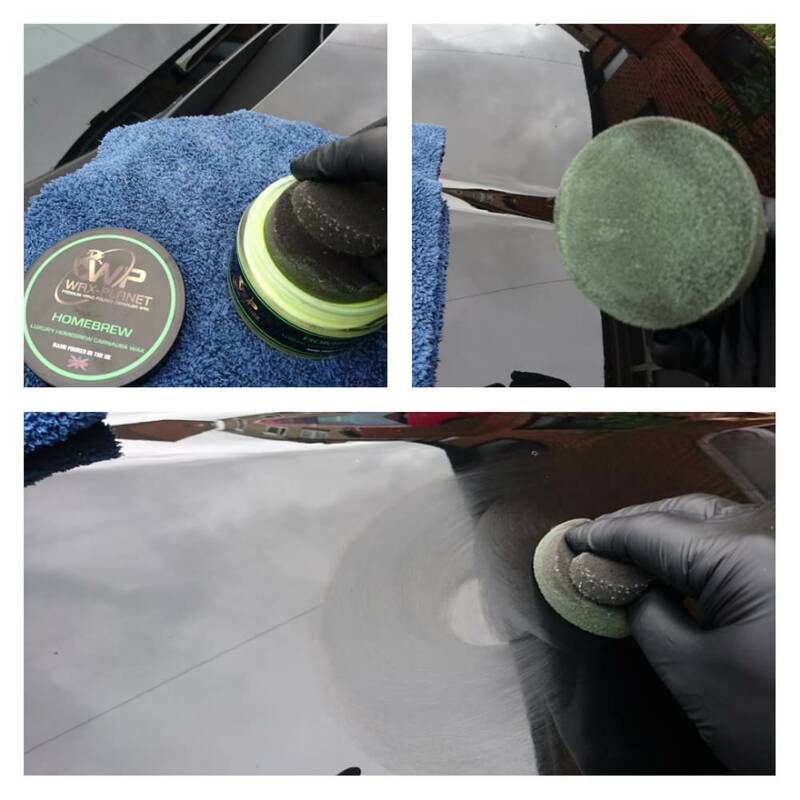 The wax was applied to the bonnet 1st using a mixture of small overlapping circles and straight lines depending on the contours. And I have to say it was really smooth to apply, it seemed to just melt into the paint work. 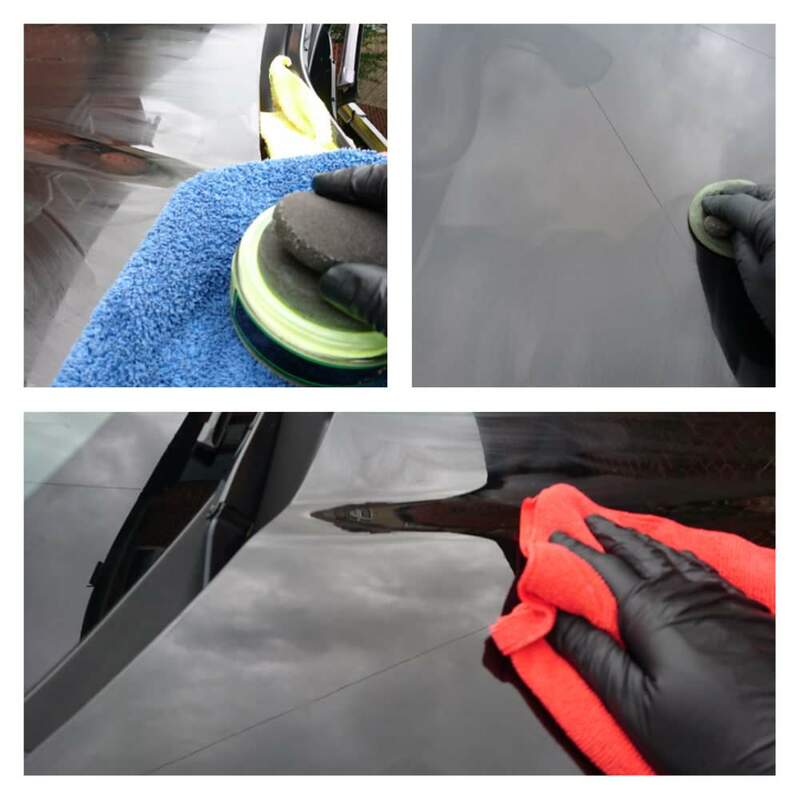 Very quickly the bonnet was coated in a nice thin layer, it was also nice to note that you could see where you had been. A quick buff with a plush MF cloth revealed and nice glossy finish which I was really pleased about and no dust or residue to speak of either. 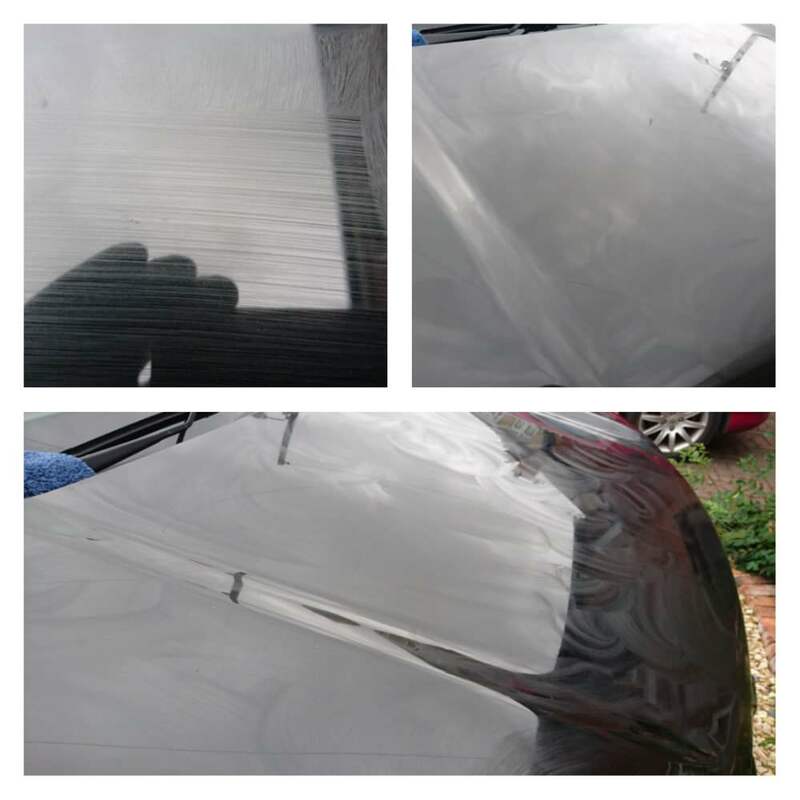 The rest of the car was finished in the same manner, completing 3 panels at a time before returing to the 1st. 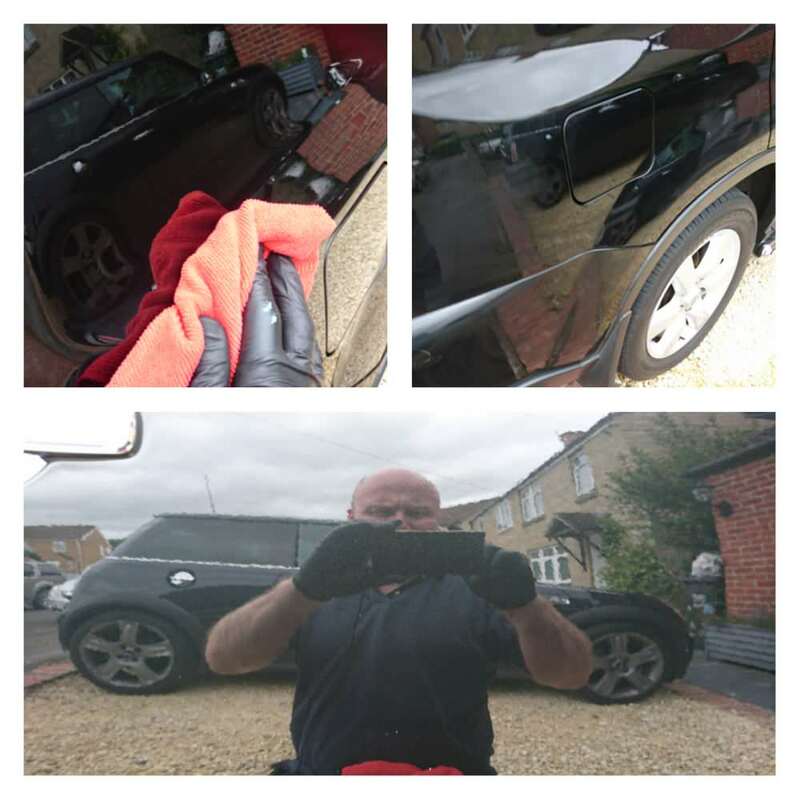 Coat 2 went on 1/2 hour after coat 1 was removed after dressing the tyres and trims etc, yet again same drill here and yet again usability in application and removal was just what I would look for in a wax. 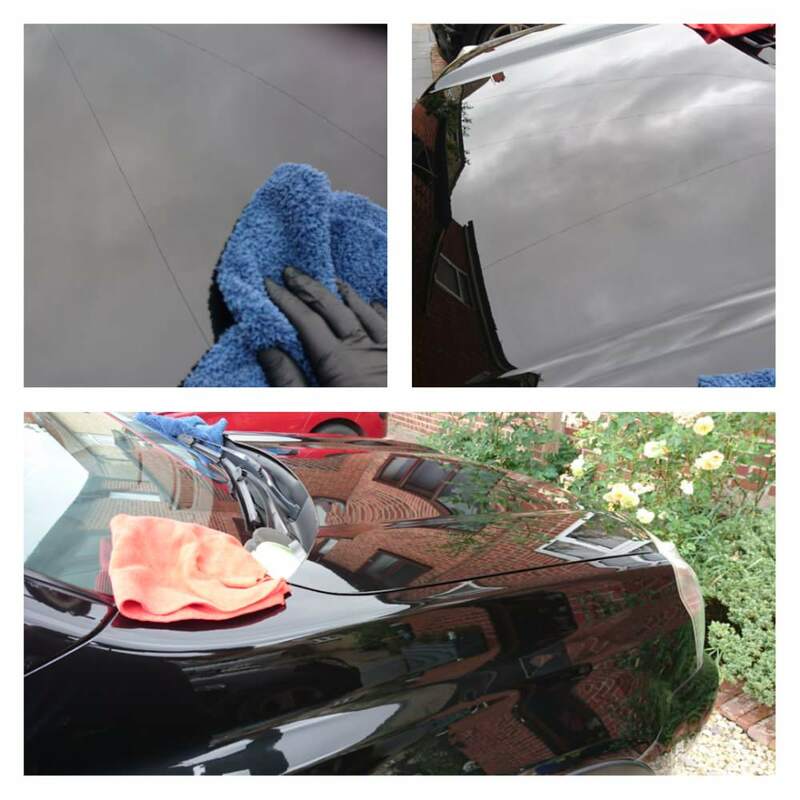 Standing back and looking at the results I have to say I was really pleased, the wax provided a really glossy optical finish which didn't darken or mute the paintwork at all. The clean optical finish really allowed the flakes to pop and honestly really impressed me. 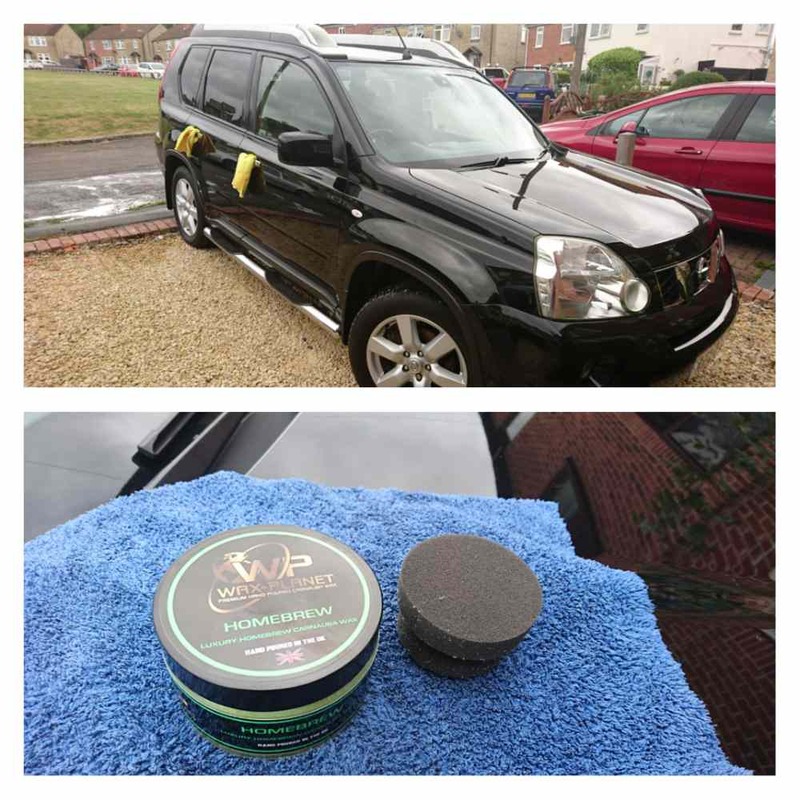 Value wise £35 is a great deal for this kit, you would expect to pay this for a deecent wax and performance wise it doesn't let you down, add to this the fun of making you own wax along with the customisation options its a cracking deal. 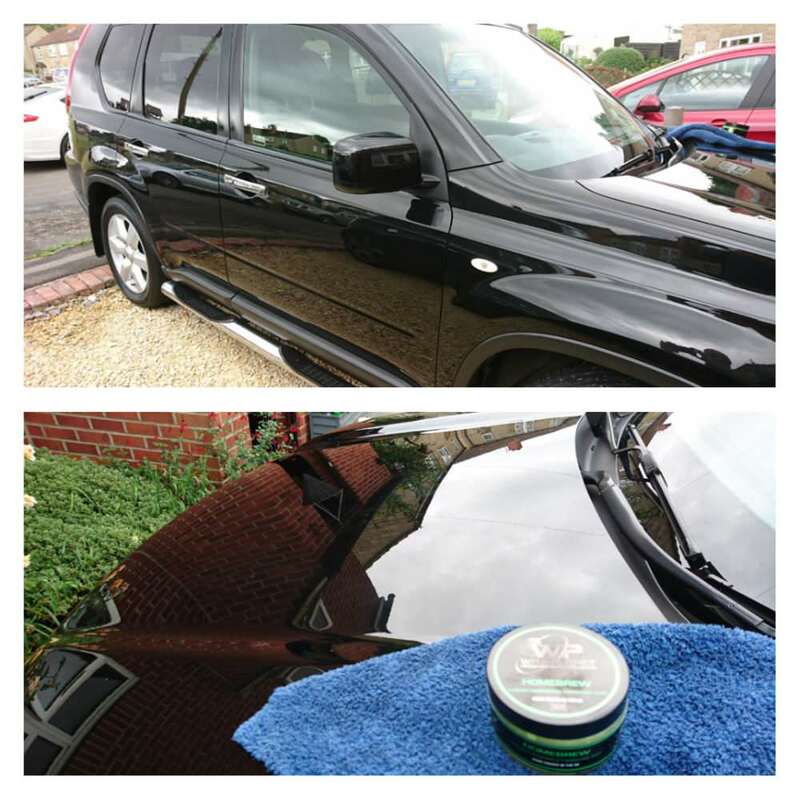 The wax you will end up with is a really great product by itself, its easy to both apply and remove and leaves a great clean glossy finish which at this price point punches well above its weight. 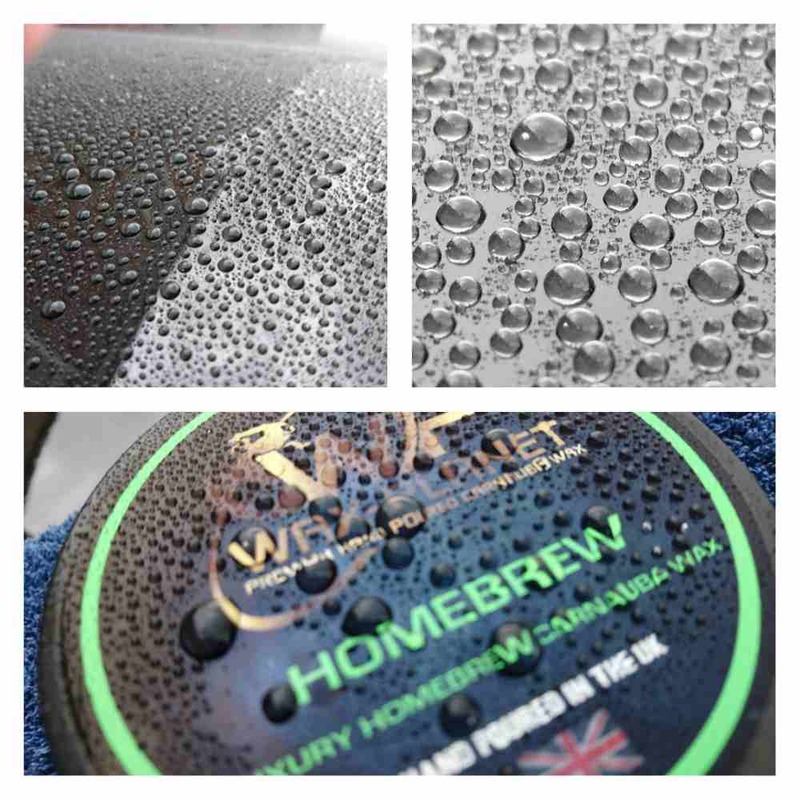 If you are looking for a new wax and fancy giving a bit of home brewing a go without all the complicated faffing around then try the homebrew kit because honestly you will enjoy the process a well as the results.